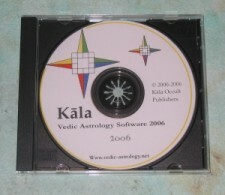 This is a new screen in Kala that replaces the Parashara Screen in the old version of Kala. It calculates a planet's favorable and unfavorable influences as per the Ishta & Kashta chapter in Brihat Parashara Hora Shastra using Ishta, Subha Phala and Dig Bala. 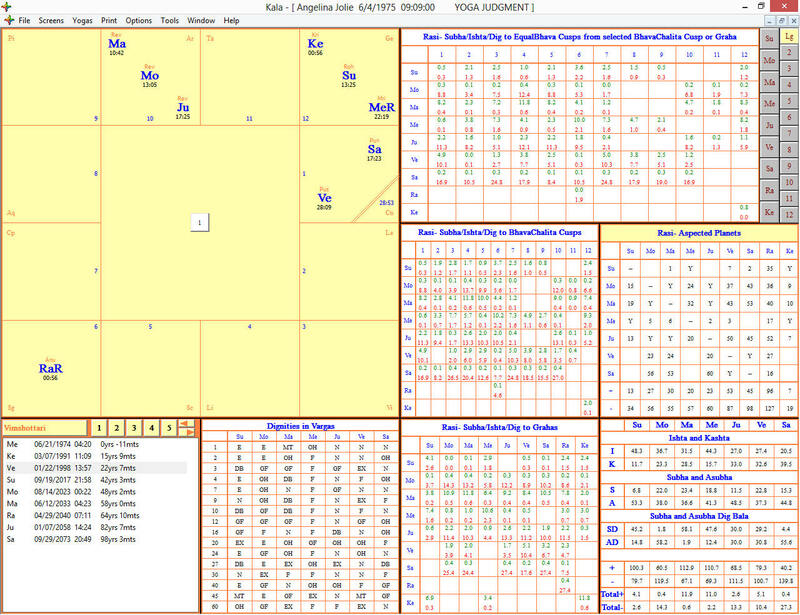 Extensive and interactive tables provide the mathematical values to analyze any yoga precisely. The use of these screen is taught in full detail in my Parashara's Formula for Yoga Judgment Course at www.astrology-videos.com. Best of all, the Yoga Judgment Screen shows the effects of each planets aspects and conjunctions to houses and other planets as specifically measured by Parashara. These are the calculations required for systematic and scientific Jyotish - each strength and influence is measured exactly, there is no guesswork. To learn how to use these predictive techniques of Parashara, please visit www.astrology-videos.com.